A tree surgeon in Bradford, J E Varley have been helping businesses and individuals with their tree service requirements for over 20 years and have an excellent reputation for providing hassle free, un-complicated services that ensure they are referred time and time again. Operating in and around Bradford and West Yorkshire each and every week the J E Varley team are always on hand to help with any tree service projects. Our team are professional, qualified individuals who work to the latest tree surgeon standards and we ensure all our work is done to the highest standards including the disposal of off-cuttings. If you need tree services in Bradford or the surrounding areas contact J E Varley for a competitive, professional quote. 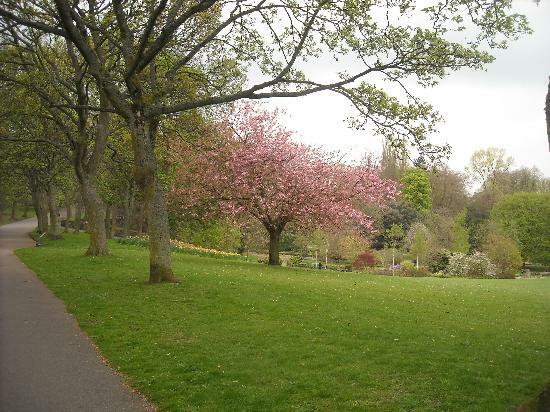 Once at the heart of the industrial revolution and a key city in the development of the north of England as a commercial centre Bradford enjoy a luscious and vast expanse of greenery with trees, grass and hedges a key feature throughout this densely populated centre. As Bradford prospered many period houses were created and beautiful green spaces such as Lister Park were created. As these spaces have evolved and the city has developed the greenery has grown and today there are a wealth of green spaces both in commercial and residential areas.